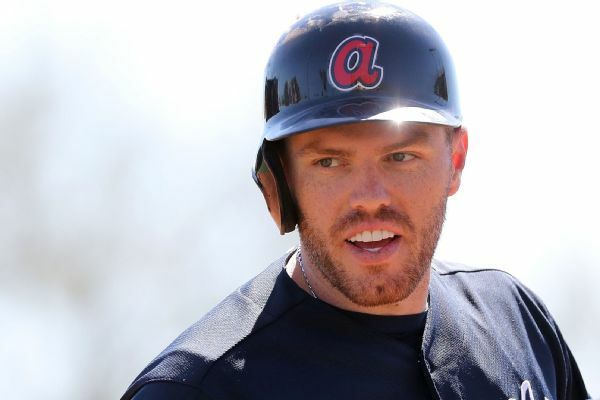 Braves first baseman Freddie Freeman was forced to leave Atlanta's game with the Yankees after a CC Sabathia pitch hit him just above his right elbow. 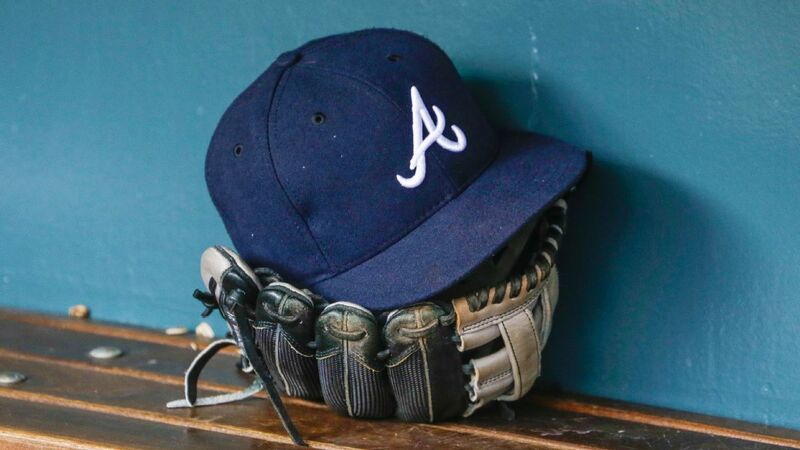 Braves utilityman Sean Rodriguez came off the disabled list Tuesday, five months after shoulder surgery that had been seen as potentially season-ending. 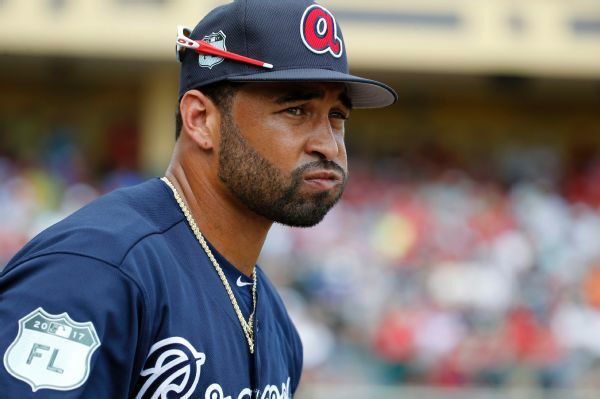 Atlanta Braves manager Brian Snitker said Matt Kemp is day-to-day with a sore left hamstring and the team will wait a couple of days before deciding on a possible disabled list stint. Minnesota Twins center fielder Danny Santana will likely miss the remainder of the season with an injured left shoulder. Twins center fielder Danny Santana was put on the 15-day disabled list Monday with a sprained left shoulder. 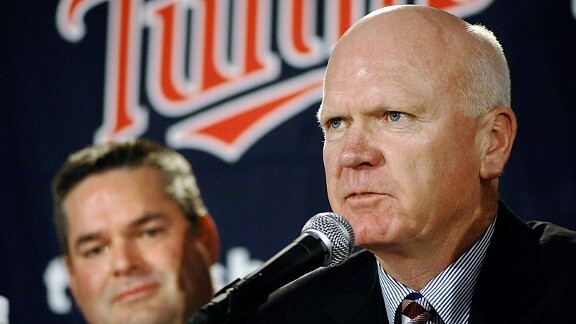 With a rotation that doesn't have any big arms and a young lineup that isn't showing much promise anymore, the rebuilding of the Twins is not on track. Forget losing to bad teams. 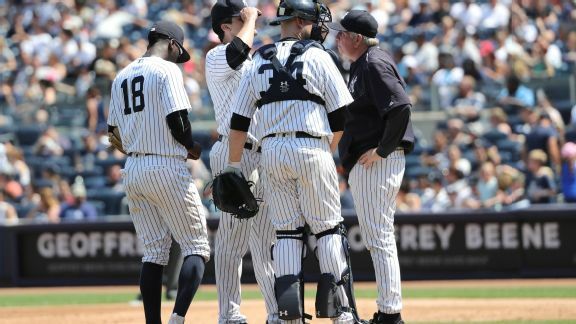 The next stretch of games against good teams could be make-or-break time for the Yankees, who again looked broken Sunday. 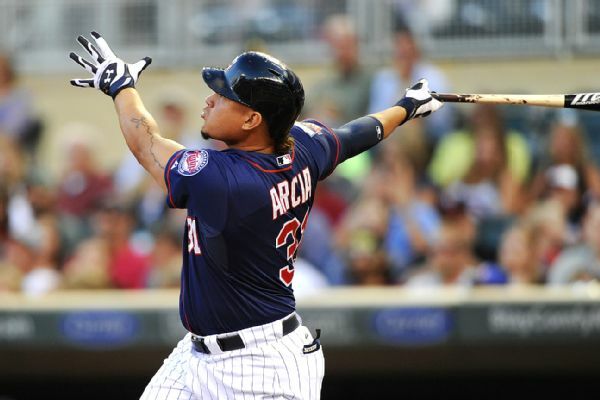 Twins outfielder Oswaldo Arcia was designated for assignment on Thursday, with utility player Danny Santana set to return from the disabled list. 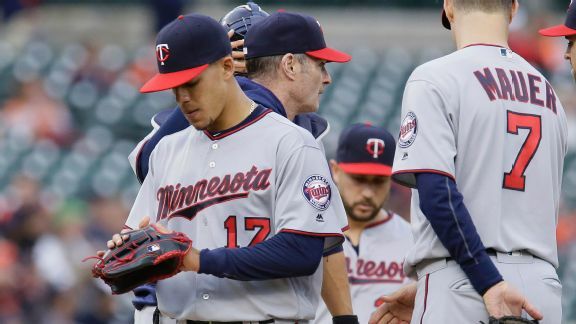 Jose Berrios' didn't get out of the first inning Monday, another rough performance in what has been a tough month and a half for the Minnesota Twins.